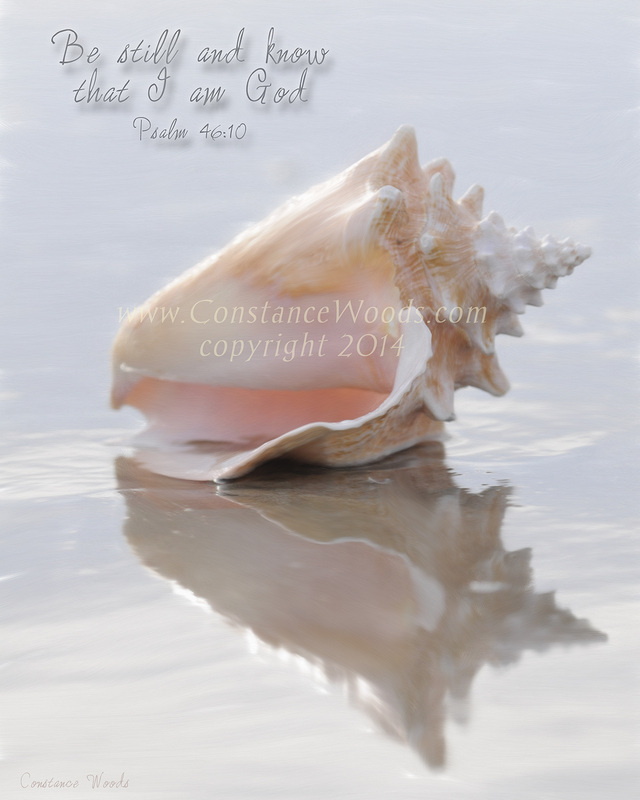 This beautiful image takes me right back to the experience of being on the seashore. Hear the ocean . . .
Feel the wind and mist . . .
sand under my bear feet . . . Taste the salt . . . I experience the stillness in my soul, and I hear Him whisper, "Be still, and know that I am God." Available without words by request. * Fine Art Prints will be shipped in a flat cardboard box. * Canvas Giclee will be shipped rolled up in a tube. ** Canvas are NOT framed. * Please email or call to order a Gallery Wrapped Canvas. * OUR PRICE INCLUDES SHIPPING AND HANDLING INSIDE USA. * FOR INTERNATIONAL PURCHASES CONTACT US FIRST BEFORE ANY TRANSACTION.